The film musical is a lost art. Most film musicals have been adaptations of Broadway shows and have met with varying degrees of success, from the multiple-Oscar winner Les Miserables, to the mediocre Tom Cruise vehicle Rock of Ages. However, original film musicals have been in short supply, especially in recent decades. One of the issues surrounding the dearth of original film musicals stems from audience expectations of the characters. Audiences typically expect characters to react in realistic ways, even when they are in unrealistic surroundings. 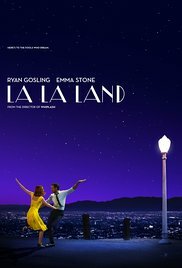 A film musical such as La La Land turns those expectations upside down, as evidence by both its Golden Globe wins and its impending Oscar buzz. 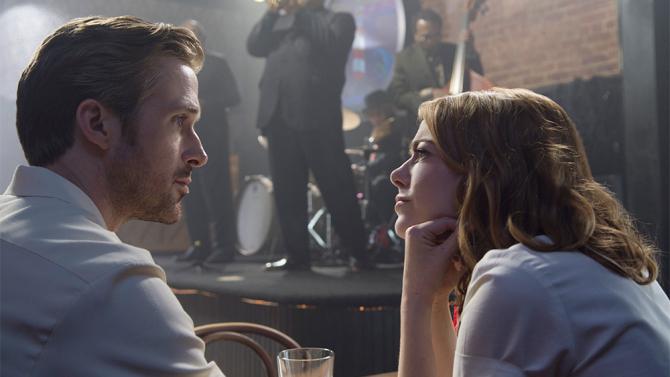 In this film, Mia (Emma Stone) is an aspiring actress battling confidence issues, while Sebastian (Ryan Gosling) is a struggling musician caught between his love of traditional jazz and the changing music scene. While both of these characters face realistic problems, the use of song and dance to communicate their issues gives the film a new way to convey character development to the audience. Within this structure, at least in Damien Chazelle's script, the characters' only real antagonists are, in a sense, each other. Their conflicting dreams and their different means of reaching their goals threaten to drive a wedge between them. Here's an example of how the VOTE method breaks down the character motivations. V: She wants to be a successful actress. O: After enduring several disastrous auditions, she lacks the confidence to continue pursuing her dreams. T: She writes a one-woman show as a showcase for her talent. E: She needs to prove to herself and her parents that her dreams of being an actress are more than just dreams. V: He wants to launch his career as a jazz musician. O: He lives for the glory days of jazz and refuses to recognize the changes in the modern music scene. T: He joins a band with his friend Keith (John Legend) to make enough money to open his own jazz club. E: He needs to prove to himself and his critics that his talents haven't been wasted on a dying art form. In most adult romantic movies, the antagonist for each of the lovers is often the other half of the couple. In La La Land, Sebastian and Mia each struggle to find their own ways while trying to maintain their relationship. In a sense, the relationship itself acts as the antagonist, as their efforts to keep their love alive strain against their attempts to establish their careers. The classic romantic story arc of “boy meets girl, boy loses girl, boy gets girl back” holds true for La La Land...to a point. The surprise ending (which I won't spoil here) puts a twist on that predictable formula, with some satisfying results for the audience. 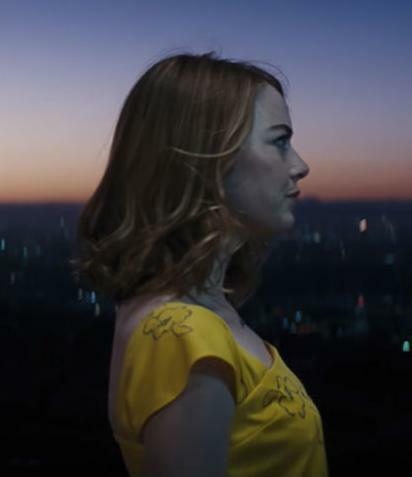 Each song from composer Justin Hurwitz illustrates the character's hopes, fears, and struggles, especially the climactic “Audition (The Fools Who Dream)”. The key to the success of La La Land is that it conveys all the elements of the VOTE through the heightened reality of the movie musical. The songs serve the purpose of illustrating the character's desires, while the dance numbers act as a form of structured conflict that communicate the clashes between characters without words. Regardless of if you're writing a stylized musical, a screwball comedy, an action blockbuster, or a serious drama, you have to invest time into developing your characters. All the beautiful songs and graceful dances in the world won't matter if you can't get the reader, the actor, or the audience to care about your characters. The VOTE method is a quick and easy way to give your characters the motivations, hurdles, and drive that will get your story noticed. If you need help in developing the characters in your screenplay, novel, or TV pilot script, contact Story Into Screenplay at storyintoscreenplayblog[at]gmail[dot]com, or send a message through our Facebook page.